During the September 25th council meeting I weighed in on matters relating to upper levels of government. I expressed concerns on the proposed federal tax reforms for small business and the risks they pose to Guelph’s entrepreneurial culture. Why did I discuss this? 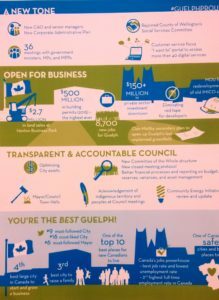 It was in the context of council voting on whether to expand the Downtown Guelph Business Investment Area (BIA) and subsequent tax increase on dozens of independent small businesses in and around our downtown. Ultimately I could not support the BIA expansion at this time, but it was passed on a 7-5 vote. Specific to the proposed federal tax reforms however, I want to thank our local Guelph Chamber of Commerce for their continued advocacy on behalf of Guelph’s business community. To read the Chambers positions, please see link here. In addition to the Chambers concerns, I echo the growing number of small business experts across the country questioning the timing of these reforms. At a time when our country is experiencing an extended period of economic growth, experts agree these tax reforms risk compromising small business job creation and investment. As such, many (including the Canadian Chamber of Commerce) believe they should not be rushed. 2nd highest in full time job numbers nationally. So again, I question the timing of these reforms. At a time when Canadian municipalities like Guelph are so poised to attract and retain new talent, new investment and new entrepreneurs (including recent graduates), why risk harming this growth by changing the foundation of the small business and entrepreneurial landscape? Especially in our downtown. These changes will almost assuredly result in reduced investor confidence and uncertainty. It is for these very Guelph centric reasons that I expressed, and will continue expressing, my concerns on the proposed tax reforms. 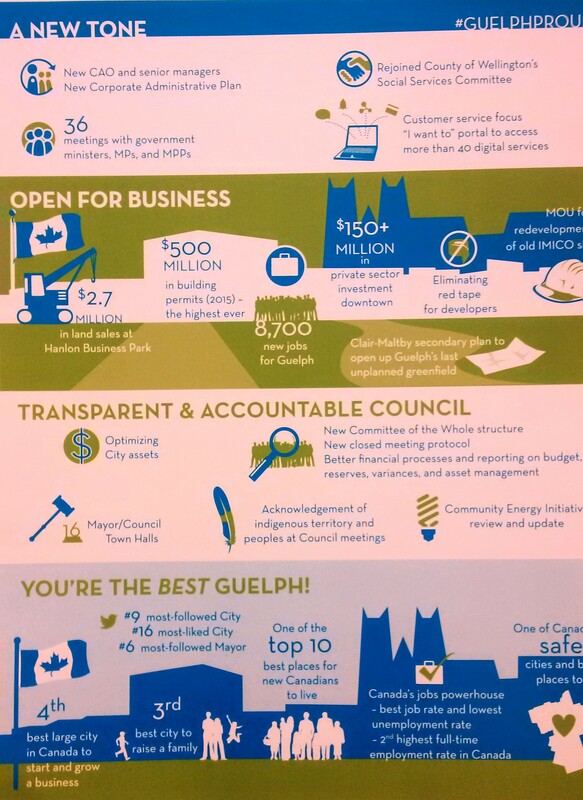 Our City, and our downtown, are currently positioned to succeed. From my perspective, any tax reform from Ottawa must be carefully calibrated so as not to compromise growth for our small business job creators. If you have any questions on this file or would like to discuss further, please feel free to contact me.